The Centers for Disease Control has expanded the list of risk factors for Ebola that increase the federal agency’s power to forcibly quarantine individuals suspected of being exposed to the virus. Under the new guidelines, issued on Monday, individuals are subject to “movement restrictions” if they have briefly been in the vicinity of an Ebola victim. 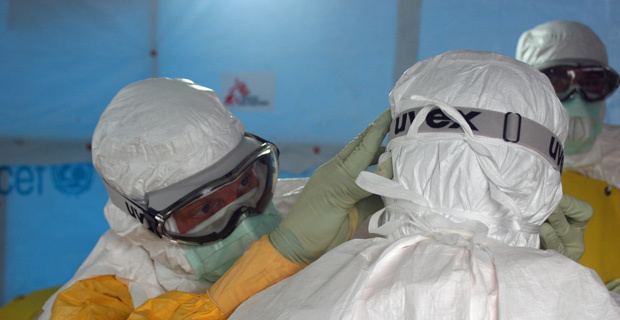 Previously the CDC outlined how, “Brief interactions, such as walking by a person or moving through a hospital, do not constitute close contact.” However, the new guidelines state that “brief proximity,” or “being in the same room for a brief period of time” with an Ebola victim now constitutes enough of a risk factor for consideration of mandatory quarantine. Given that the previous guidelines only stated that being with an Ebola victim for a “prolonged period of time” represented a risk factor, this suggests that the CDC has recognized that the virus may have gone airborne to some degree. “The CDC’s new Ebola case definition greatly increase the category of persons who may be forcefully quarantined to anyone who was in proximity of an Ebola case even if the Ebola victim was not actively showing symptoms at the time of proximity,” points out the POTR blog.